Recent proposals to amend the Maintenance of Parents Act suggests an act by the government to pass the buck of caring for the elderly to their children, but this puts an inconsiderable strain especially on lower-income groups. PROGRESSIVELY encroaching on the private lives of citizens under the umbrella of public interest is a constant refrain of our paternalistic Government. The recent proposal to amend the Maintenance of Parents Act to allow third parties to invoke it is a case in point. Granted, all children do have a serious moral responsibility of caring for their aged parents. But the law is an extremely blunt instrument to use in what is primarily a family issue. Family members interact with each other not just at the economic level, but more importantly, emotionally as well. Resorting to the law to settle family disputes, especially one over financial matters, is not just a rude intrusion into what is primarily private space, but also easily lends itself to abuse.For example, are there steps taken to ensure that the authorities listen to both sides of the story before deciding on a claim? I can conceive of situations where the children are in financial difficulties themselves, or the parents are the ones making life difficult for the family, yet the law is used unjustly against the children. In our Asian culture, it is also considered bad manners to wash dirty linen in public, which is what the law seeks to accomplish. Another issue that has not been adequately discussed by proponents of the Act is that working adults should also have the means of supporting their spouses and children. If a person earns even $1,200 per month, he or she would be hard put to support both the kids as well as the elders. Would the law treat such a working adult fairly in this scenario? Is the Act a necessity? Introduced in 1995, the Maintenance of Parents Act gives parents above the age of 60 the legal means of claiming maintenance from their children. In its first year, over 150 applicants filed claims with the tribunal for the Act, located at the then Ministry of Community Development (subsequently renamed to Ministry of Community Development, Youth and Sports, or MCYS). The number of applicants has dropped steadily over the years, though there has been a rise in applicants over the past two years, with 127 elderly suing their children for support in 2008. Sums range from a token $10 to over $2,000 per month for families with more than one child. Dr Vivian Balakrishnan, Minister for Community Development, Youth and Sports, announced in his speech at the recent Parliamentary Debate on the President’s Address that a review of the Maintenance of Parents Act to enhance support for the elderly was in progress. One proposal raised was amending legislation to compel children to declare their earnings in order to assess their ability to support their parents. Last Friday, Channel News Asia also reported comments made by Mr Lim Boon Heng, Minister at the Prime Minister’s Office, who said that the Act may be amended to allow third parties to invoke it on behalf of parents who might be reluctant to use the Act against their own children. Mr Lim mentioned that while it was not a good thing to invoke the Act to force a child to support his or her parents, it is something that is necessary in today’s context. Paternalism rearing its ugly head Our Government is infamous for its vehement stand against welfarism and its habit of touting the buzz phrase “self-sufficiency” as some kind of panacea that can cure society’s ills. Are the Maintenance of Parent’s Act and the recently debated amendments further steps that the Government is taking to push the buck of responsibility for elderly care entirely to the children so that the state can take a back seat? Admittedly, the other side of the coin is that some children also try to pass the buck of responsibility for elderly care back to the state. 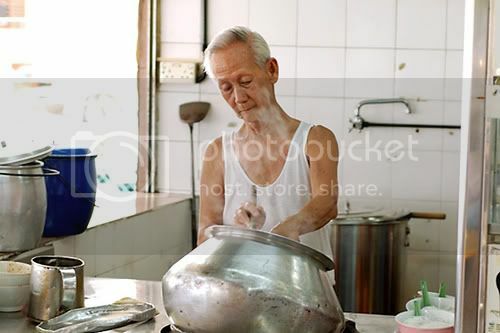 However, the problem with the proposed amendment mentioned by Mr Lim Boon Heng is that it is too skewed — the Government, which presumably will be the likely “third-party” trying to invoke the Act on behalf of parents, has an incentive to keep elderly needy folk off its already threadbare welfare programmes by passing the buck to the children. Here, the paternalistic attitude of the Government is rearing its ugly head, because there is the implicit assumption that a third-party is a better judge of whether children have the financial means to supporting their old folks. Singapore‘s changing demographics are a cause for concern in light of our Government’s attempts to push as much as the buck as possible off its own coffers. The proportion of those above 65 years old will roughly double from 8% now to 19% by 2030; at the same time the average number of kids in a household decreased from 3 in 1980 to 2 in 2000, and will probably continue to decline; the dependency ratio will shrink from 7.6 to 3.1 working adult per dependent (i.e. child and elderly person) in 2030. It will simply become more difficult for working adults to maintain dependents, particularly for many of those at the lower income strata, which on current trends, aren’t going to see their income increasing by much in the foreseeable future. Furthermore, it has been pointed out that quite a few of those who have been taken to task under the Act so far had failed to pay because they became unemployed. What the amended Act might do is to prevent some of the most egregious cases of children shirking their burdens, but it is likely that many more elderly folk will live out their years in relatively poverty because their kids can’t afford to really support them anyway. The bottomline is that the state is failing to come to terms with the reality that it might have to play a bigger role in supporting the elderly.